- Four-sided acrylic shower tray with waste. - One-piece white acrylic wall linings in plain or moulded style. - Sill-less entry for tray or tiled situations. 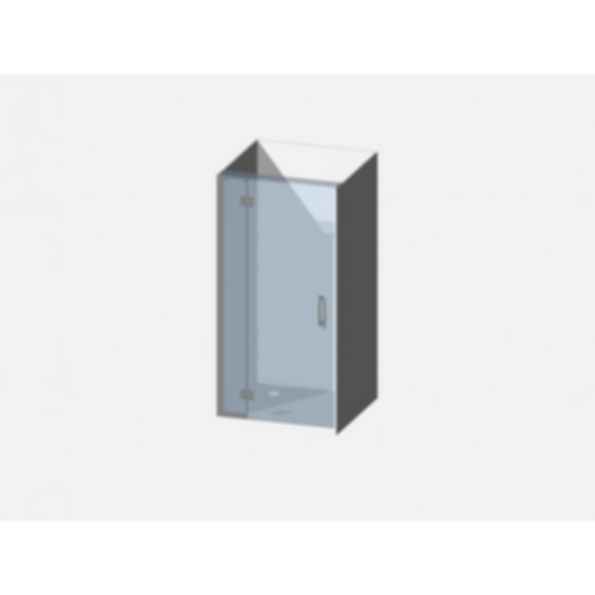 - 6mm toughened safety glass. - All silicones & wall adhesives. The Sterling door combo is custom-made, with a standard frameless door height of 1830mm and opening width of 640mm. Height to the top of the overhead glass brace is 1935mm from floor. Available in chrome only. When ordering, please advise right or left-hand fixing, viewed from outside combo. Showerwell is the leading way in style and innovation. Showerwell products are not just good looking, they are technologically superior and guaranteed to perform. When dealing with any of our branches from the Showerwell Group you can be assured you are dealing with the experts, with thorough knowledge of every aspect of manufacture and installation to enable a quality finish every time!